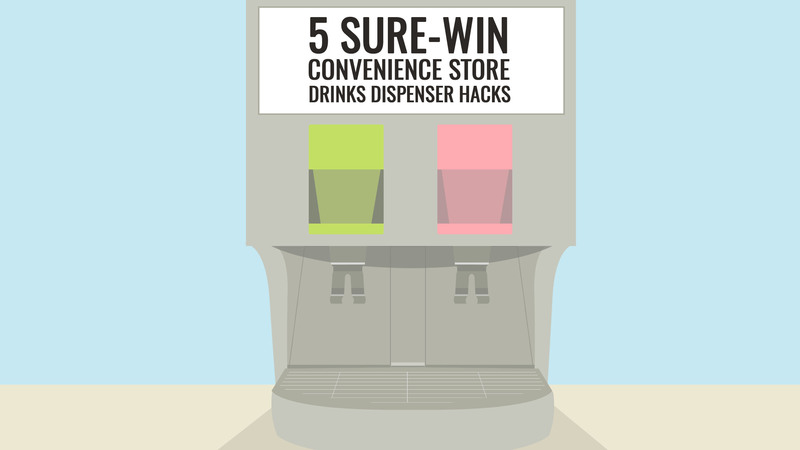 Make the most of your dispenser drink experience with these helpful tips. (SPOT.ph) There's a thrill that comes with walking into the convenience store, standing in front of the drink dispensers, and choosing which of the drinks you want to have today. And there's no wrong choice, really: all of them will hit the spot quite nicely. But there are some hacks you can do to make your chosen beverage even better. During especially hot days (which is, like, every other day), it's tempting to fill your cup up to the brim with ice. This will make your drink taste like, well, like nothing, and you're basically paying for the ice rather than the drink. To make sure your drink is both cold and filled with flavor, fill up ¼ of your cup with ice, and the rest should be your drink. 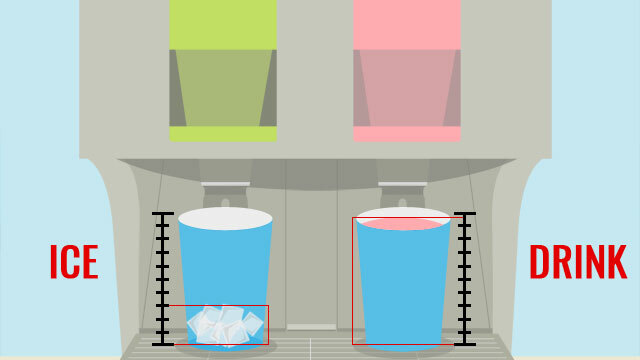 Putting ice in your cup before the drink will not only give you more control over how much of the drink you'll be able to get, but you'll get to avoid your drink splashing on your outfit (or face!). If your ice melted but you want to bring back your drink's icy goodness, wrap the cup in a wet paper towel and leave it inside the freezer for 15 minutes or more. Your drink will magically be as cold, or even colder, than it was before. Yay, you! Mix things up If you're having one of those days when you simply can't decide on what to get, why not just get all of it? Mix drinks together to create your own, custom "handcrafted" drink. Here's an idea to kick start your experimentation: NESTEA® Strawberry Red Tea + NESTLE® Pink Lemonade Lychee = Berry Lychee! Or just go crazy and mix everything in one cup! Getting the biggest size possible for your drink will make your drink stay colder for longer, plus you can nurse that drink for an entire day. Tipid! No one can resist the fun and convenience of getting their own drink, which makes a beverage dispenser a surefire way for customers to troop to convenience stores at all times. If you want that kind of foot traffic for your business too, or maybe just a fun add-on service to your customers, you can't go wrong with getting a drinks dispenser in your establishment. 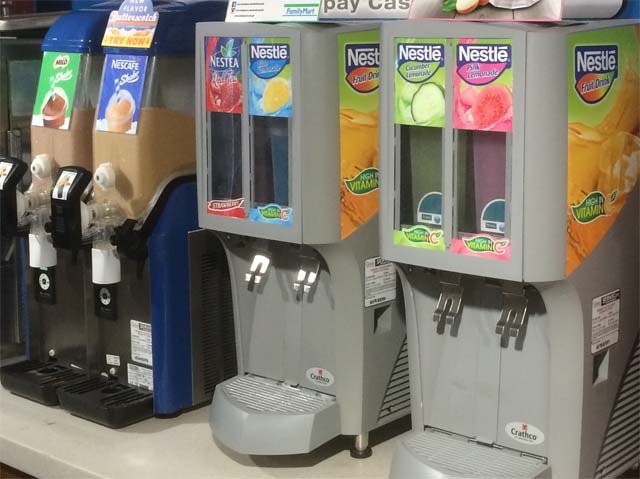 Consider NESTLE® Professional’s unique beverage dispensers, which you can check out for yourself at your favorite convenience stores such as FamilyMart. They're a fun, quick way to get a refreshing beverage, and they allow you to customize your own flavors, too. How fun is that? These drink dispensers are available courtesy of NESTLE® Professional, a food service solutions partner which caters to restaurants, hotels, caterers, offices, schools, canteens, hospitals, and anywhere else that might benefit from a drink dispenser (which is, pretty much, any business!). Click here to know more about NESTLE® beverage dispensers and their business opportunities.